Safely and effectively uses fat freezing technology to naturally destroy fat cells without any pain or skin damage. Breaks down fat cells and flushes them out through the bloodstream and lymphatic system. 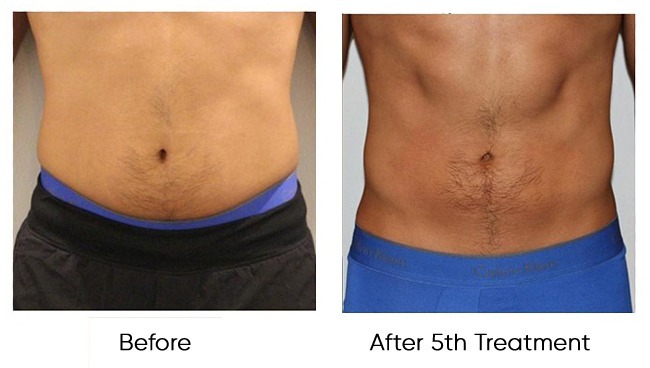 A painless and a non-surgical alternative to liposuction. Cryo Slimming combines the power of cryotherapy and thermography to help you reshape your body. It is medically recognized in Europe and now in San Diego at NextGen Cryo! How does Cryo Slimming work? Cryo Slimming is the treatment that works by triggering apoptosis of the fat cells. This is achieved without risk of damaging surrounding tissues (in particular muscular tissue) by the fact that the core of the fat cells crystallize in the cold. This crystallization is the cause of the fat cells to activate self-destruction causing them to die and flush through the lymphatic system.